The Facilities Maintenance And Reserve Component (FMARC) Committee has been renamed the Reserve Planning Committee (RPC). The Board of Directors and RPC share the oversight and management of OCA common areas and buildings. This committee holds monthly meetings which are open to all residents and reviews the external appearance of the common areas and facilities and reviews and recommends solutions for repairs, replacements and improvements and evaluates the impact on OCA financial reserves. Contact: Bruce Cowgill at (805) 807-0492 or click to email. 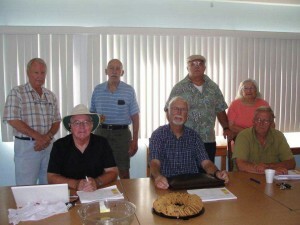 The RPC Committee normally meets the 3rd Wednesday of each month at 9:30AM in the Clubhouse Card Room. Residents are welcome. Agenda items for the next meeting must be received ten days prior to the meeting.